Born: May 17, 1944, Bossier City, La. Died: April 11. 2014, Charlottesville, Va. When the news came of the death of Jesse Winchester, we were both shocked and saddened at our house. When we were in our salad days, we had the privilege of meeting him when he preformed in Aspen, Co., in 1977. His quiet but gentlemanly manner made a big impression on me and he gained my husband’s admiration, as well. As I worked in a club where he played, I heard his music night after night. It never grew tedious in the slightest. The crowds swelled and by the end of that week, the likes of John Denver, Hunter S. Thompson and gasp, Willie Nelson, came in to hear Jesse. This week, as tributes poured in from cities far and wide, colleagues and peers heaped praise on the body of work created by Jesse Winchester. 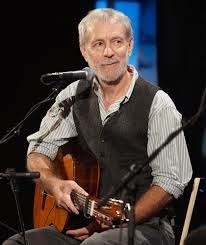 Along with his personal achievements, it is pleasing to note that his songs have been sung and recorded by a host of great people: Patti Page, Elvis Costello, Jimmy Buffet, Joan Baez, and Emmylou Harris to name a few. From those of us from the “cool blue north,” Jesse, we are honored that you came to be with us for a time. This entry was posted in Uncategorized on April 25, 2014 by Elizabeth Smythe Brinton.